My name is Sandi, and I am the mom of an addict. 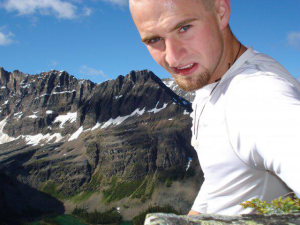 On August 27th, 2016, my son Scott lost his battle with addiction and overdosed alone in transitional housing following the successful completion of a 3 month dual diagnosis program in Calgary. His relapse occurred less than 24 hours after he was released. 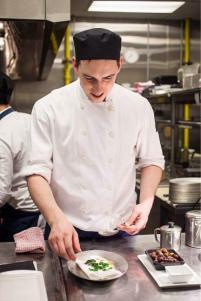 He was 28 years old and had been struggling for many years. I didn’t see it coming. Since that time I have gone over every conversation, every action, every inaction, every interaction I had with him. Where did it all go wrong? What did I do right? What did he do right? What could we both have done differently? How could I have saved him? I was his mom. That was my job, my purpose, my mission. Where did I fail him? Regardless of what I did or didn’t do, or what he did or didn’t do, he died anyway. And not a day, an hour, a moment goes by that I don’t grieve for him, for all the things he will miss, all the things he will never experience. He went out west to Calgary to attend 1835, an abstinence based 12 step treatment facility. 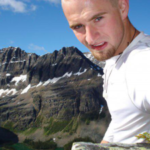 He remained in recovery for almost 21 months, and it was a beautiful, incredible time. 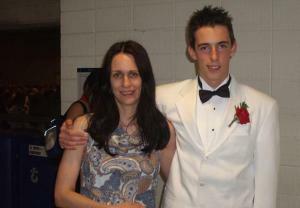 Scott was always a wonderful son. He was never abusive to me, mean to me or said things to hurt me. I know how lucky I was and I would not trade that time for anything in the world. I hold it very close to my heart. His relapse was a shock, and I realized how little I actually knew or understood about addiction. The fact that he was even able to try again was nothing short of a miracle. Which brings me to the reason for writing this. If only I knew then what I know now. We are failing our substance users in the worst possible way. We talk about things like enabling, hitting rock bottom, removing support, when we should be having very different conversations. We need to take everything we know and throw it out the window. Addiction is a disease. When will we truly begin to treat it like one? If you have cancer, you are treated with the best possible medical assistance money can buy. You are embraced by recovery groups. You are offered emotional support by people who understand and sympathize with what you are going through. What do we do with substance users? We offer them broken systems. If I could change how we treat addicts it would look very different. There would be no abstinence based programs that do not accept medically assisted treatments. I love the idea of the 12 step programs that create a community and sense of belonging and acceptance. This is vital for so many in recovery, many of whom have lost their connections to their families and friends. People they have known all their lives no longer want anything to do with them. They have been hurt. Most abstinence based programs for family and friends of substance users preach a very dangerous and harmful message. They say “give it to God”. Follow the three C’s. “You didn’t create it, you can’t control it and you cannot change it”. I don’t accept that. I could never have turned my back on Scott. I could never have put him out on the streets. God gave “it” to me, and I will carry that responsibility to my grave. That and the fact that I failed my son. I did not truly see his addiction as a disease. I saw his strength. I saw his beauty. I saw his desire to be sober. But I also saw his unhappiness, his despair, his pain. And I did not know how to help him with it. If I only knew then what I know now, I would have driven out there and been there on the day he was released, and I would have taken him to an ayahuasca ceremony. And then I would have brought him back home to be with his family. I now know about the molecular/physical changes that happen in the brain with long term use of heroin and fentanyl. Fentanyl was his drug of choice. He found opioids and he found God. So why are we so invested in each of these options, so dug into the idea that we have the answers? Why are we not combining medically assisted treatments with recovery programs that offer that sense of connection and community? Who would want to be sober when you have no community? And who would want to be substance free but in pain, emotionally and physically? Drugs are different. I recall Scott telling me that even after 20 months he was still experiencing user dreams. So not only was he dealing with the physical changes by way of the healing of the brain, his subconscious was tormenting him nightly. In these dreams, he WAS using. He could feel it. He experienced the high. How can one succeed when they are coping with it 24 hours a day, 7 days a week, 365 days a year? When I think of what I expected him to do I am ashamed. I detoxed him more than once. I know the agony he went through. I have heard it described as being able to feel your blood moving through your veins. The pain was intense. Unbearable. Looking back I understand why the recovery rates are somewhere between 5 and 15 percent. What is more amazing to me is that anyone survives. I share this with you because I don’t want you to look back and wonder what you could have done differently. I don’t want others to have those regrets and carry that guilt. I want your child, brother, partner or friend to have a chance. We need to demand better treatment options, ones that address the whole person. We need access to medically assisted treatments, along with a community they want and need to be a part of. Without those things together, we will continue to lose our loved ones. They will continue to struggle and fight their addictions minute by minute, and most will not survive. 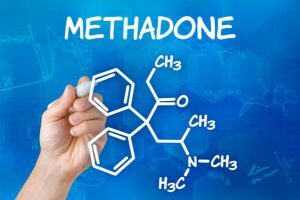 What is the success rate of methadone treatment? Detoxifications and drug free modalities, although appealing to an understandable desire for recovery without medications, produces only 5-10% success rate. Methadone maintenance is associated with success rates ranging from 60 – 90%. What is the percentage of people who recover from opiates? 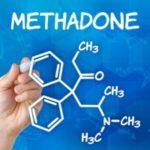 Is methadone an effective treatment? Methadone is neither good nor evil; it is simply a proven, effective medication for the treatment of opiate addiction. … Once you have been stabilized on methadone, you trade addiction to a dangerous opiate (heroin) for a dependence on a medically supervised and safe drug (methadone). How long does it take to get off methadone cold turkey? In general, longer periods of methadone treatment are associated with a decreased likelihood of relapsing back into opiate use and addiction; however, fewer than one in five methadone patients will continue to use for longer than 10 years. How many people have died from methadone? What are the chances of relapse after rehab? Drug and alcohol rehab statistics show that the percentage of people who will relapse after a period recovery ranges from 50% to 90%. This is a frightening statistic and it is often used as justification for those who wish to carry on with their addiction. Which drug has the highest rate of relapse? While researchers are still exploring the reasons behind the current heroin epidemic, we already know that the relapse rate for heroin and other opioids is higher than that of other drugs. According to the NIDA, the overall relapse rate for substance use disorders is between 40% and 60% as of 2010. 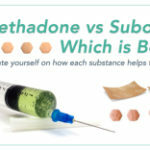 Which is better, Suboxone or methadone? Patients often ask which medication is better to treat opioid addiction: methadone or Suboxone? Buprenorphine is safer then methadone, since it’s only a partial opioid. A partial opioid attaches to the opioid receptors in the brain, but only partially activates them. What is better to take Suboxone or methadone? Suboxone and Methadone are used to treat patients with opioid dependency or addiction. They are both synthetic opioids. Suboxone is partial opiate agonist (i.e. its effects are limited even when taken in large doses) but Methadone is a full opiate agonist. … Methadone works better for such individuals. Is methadone or Suboxone safer? Why Suboxone Is Safer than Methadone. Opiates are potent drugs. … When you take buprenorphine, it fills opiate receptors in the brain, and once these receptors are filled, withdrawal symptoms are reduced or eliminated. But because it is only a partial agonist, the drug can only partially activate the opiate receptors. 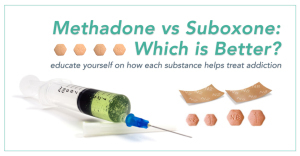 Methadone and Suboxone are both drugs used to managed opioid dependence. … Because of this, it’s important that you take these drugs exactly as they are prescribed. So, if both methadone and Suboxone are both opioids used to manage opioid dependence, what’s the actual difference between the two? Can you go from methadone to Suboxone? Unfortunately, you’re probably going to have to wait approximately 72 hours after your last dose of methadone before switching from methadone to Suboxone. If you’re not in at least partial opioid withdrawal, the agonist buprenorphine could send you into precipitated withdrawal. Over the course of 12 weeks, 49 percent of participants reduced prescription painkiller abuse. Once they stopped taking Suboxone, the success rate dropped to 8.6 percent. The reduction in painkiller abuse was seen regardless of whether participants said they suffered from chronic pain. How long do you have to be on Suboxone? The short term use (under a month) of Suboxone almost always ends in relapse back to opiate abuse. Suboxone works best when it is used as a long term maintenance medication, from a minimum of 6 months to a year; and ideally for much longer than that. How long does it take to get off methadone? However, it can take anywhere between 15 and 60 hours for methadone to be out of a user’s system. For some people, it may take several days for withdrawal to begin. Symptoms of withdrawal from methadone usually last three to six weeks, but the process can take longer for those with severe addictions. How long do you have to wait before you can take methadone after Suboxone? You can take Methadone after Suboxone and it will do it’s thing, But taking Suboxone after methadone will send you into withdrawal. You must wait 3 to 5 days after a single dose of methadone (40mg) to resume taking Suboxone. If you have any opiate in your system, suboxone will make you VERY sick. How do you get off of methadone? This method is safe, natural, and extremely effective if done properly. Step 1: Start Tapering Methadone. Step 3: Start Eating an Endorphin-Building Diet. Step 5: Start Taking an Opiate Withdrawal Supplement.